I have a sweet tooth. And after the holidays I find myself craving chocolate like CRAZY! Instead of banishing all things sugar, I’m trying to work to find the right lifestyle balance. Tonight I embarked on creating my first mug cake and lord help me, I’m still sitting in my living room in shock at how good it was. There’s a 100% chance I still have hazelnut spread on my face…oh and apparently on my shirt, oops. 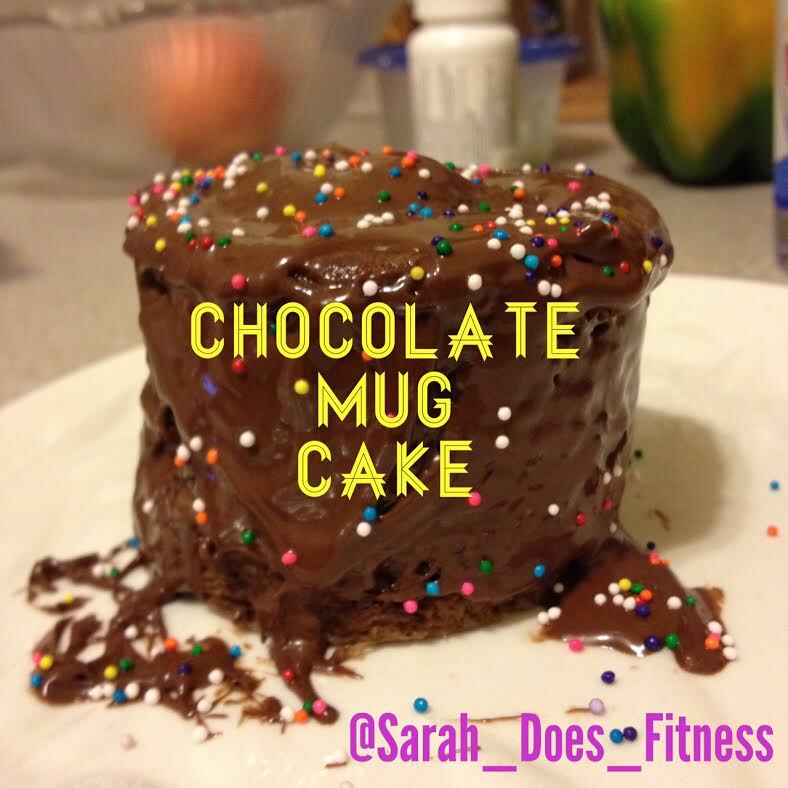 If you just HAVE to have a piece of cake, this is the way to go. 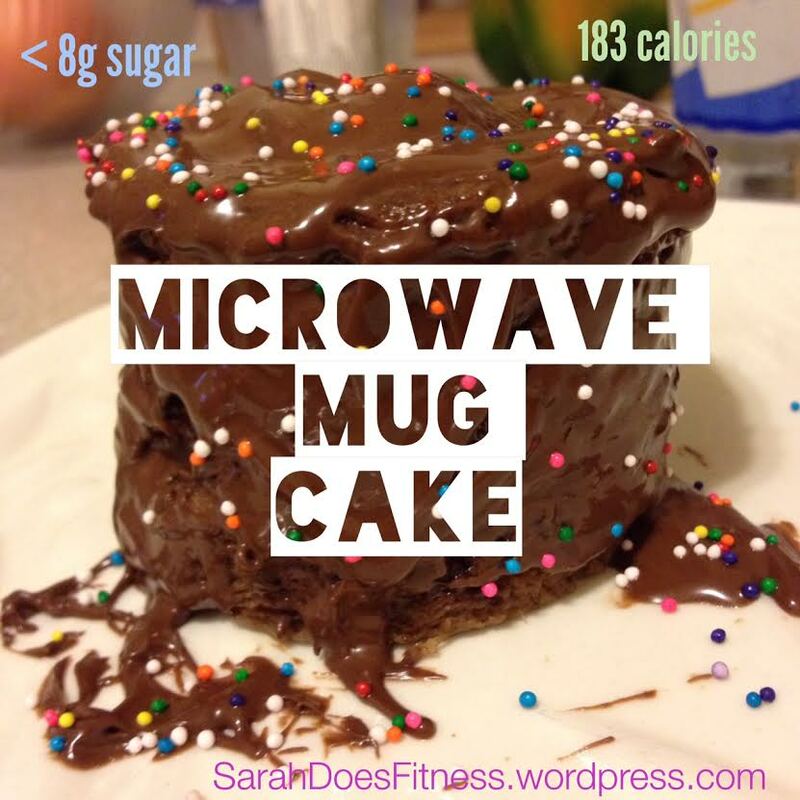 Microwave in 1 minute increments until top is fluffy and cooked through. It took my 800 watt microwave 2 minutes. 8. Take 1 teaspoon of chocolate hazelnut spread and frost your cake muggy! 9. Sprinkle on some sprinkles! As I spooned on the hazelnut spread, it began to melt which made it easier but you may find that melting the spread or peanut butter ahead of time and then drizzling it on is easier. 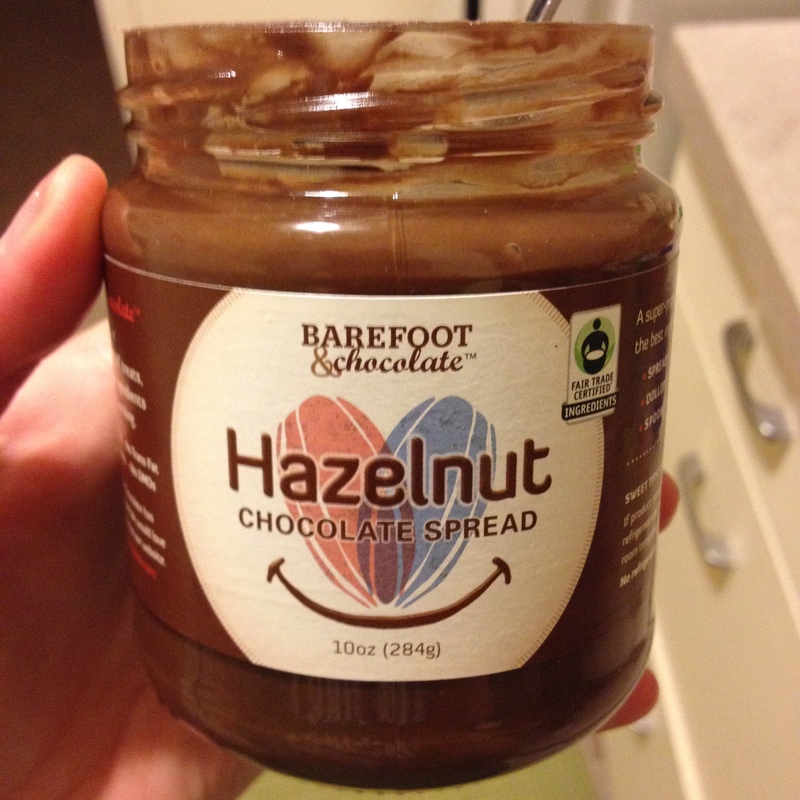 I used Barefoot & Chocolate’s hazelnut chocolate spread but try any kind you want! Regular peanut butter would work fine as well. Or White Chocolate Wonderful. I like Barefoot & Chocolate because they use all natural, fair trade, and organic ingredients. I was amazed at how tasty, satisfying, and delicious this came out. 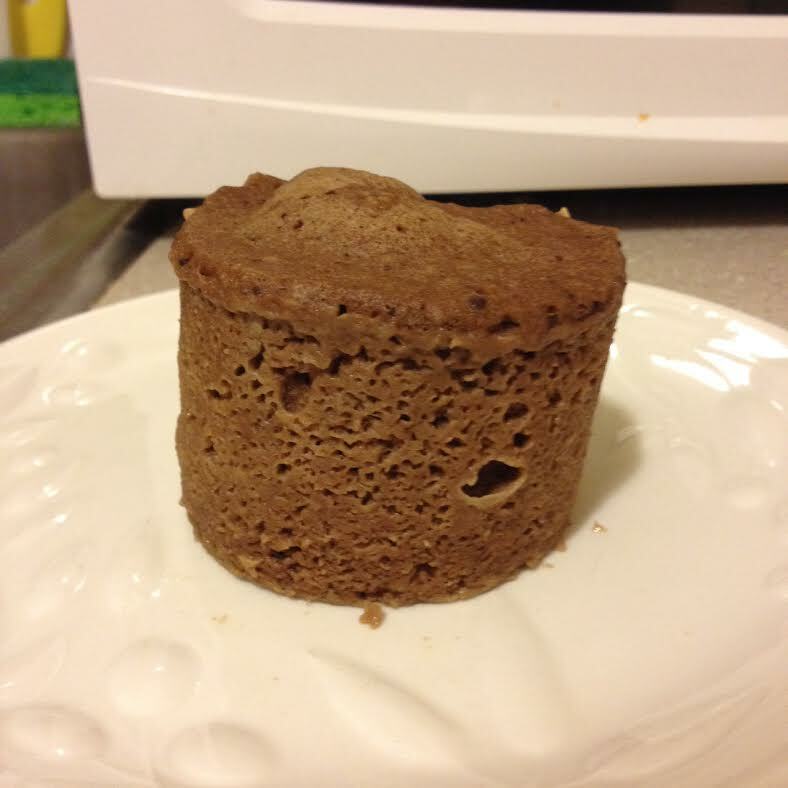 Unlike some of my past alternative recipes (that have maintained the texture of sweets but not the taste) this actually taste like and felt like real cake! 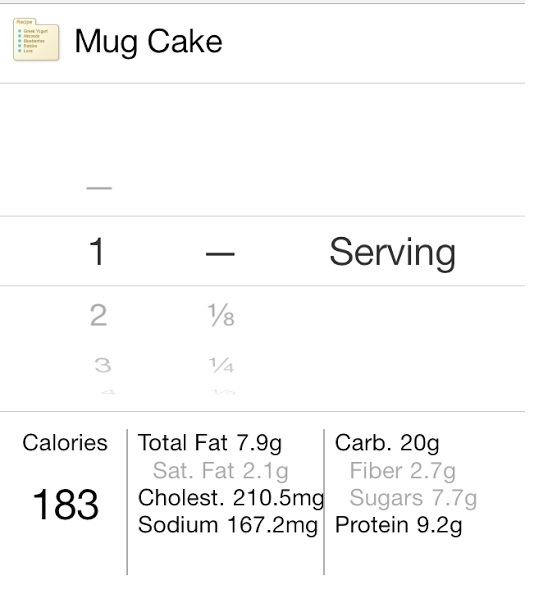 The entire thing is under 200 calories and 8g of sugar. 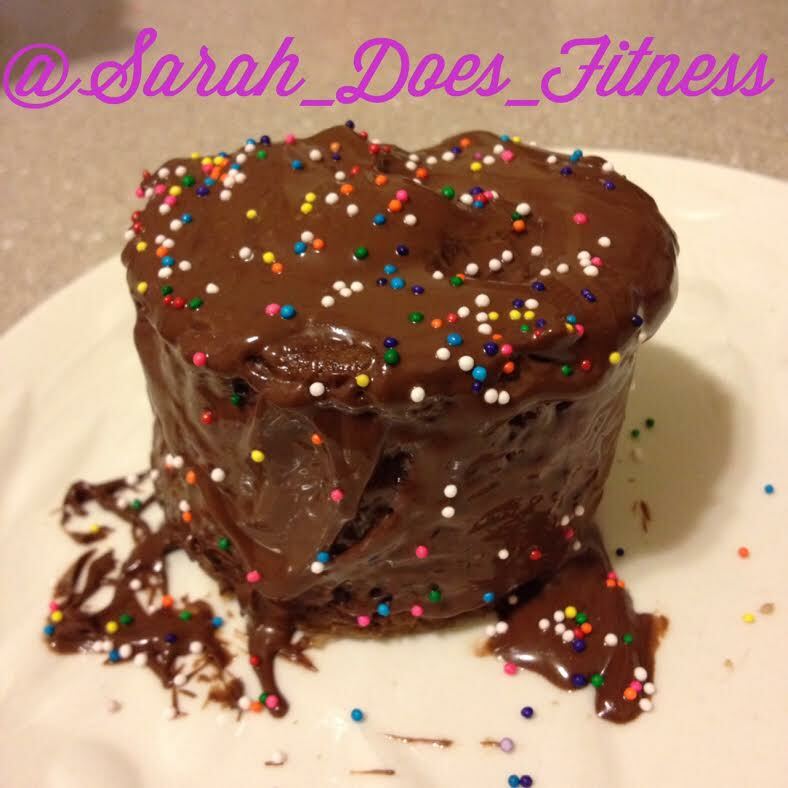 If you’re watching carbs it nets you 20g WITH the frosting. 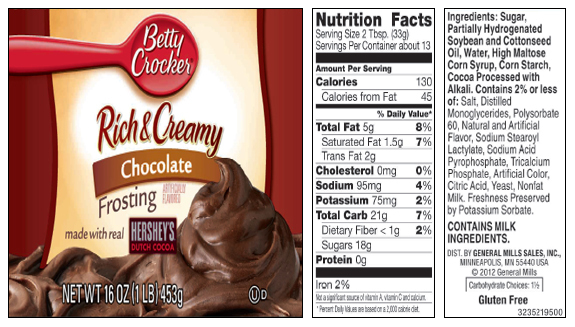 Below I’ve compiled the nutrition facts for my recipe and then some of the Betty Crocker cake mix and frosting. 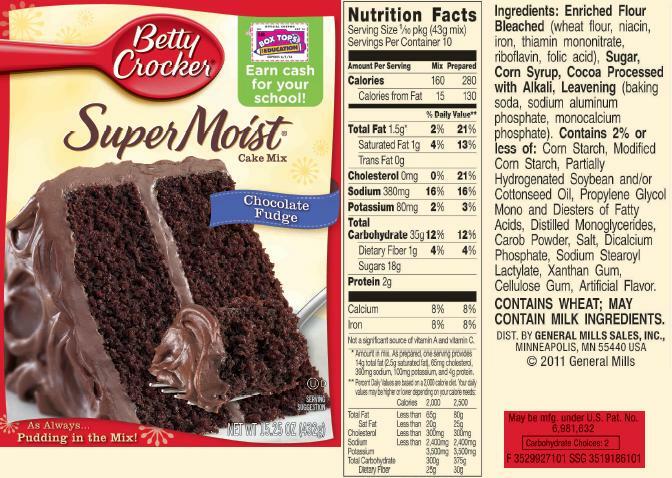 By the time it’s said and done, a regular piece of cake can be as much as 440 calories and 38g of sugar!